The finalists have been named for the second Essex wedding awards taking place at Essex wedding venue, Parklands, Quendon Hall on November 28th. Some of the counties finest suppliers will be there and I am delighted to announce that Essex wedding band, One Foot in the Groove, that celebrate 10 years of providing outstanding live music to couples across the UK have been named as finalist for the second year in a row. In Expression Photography have also been named as finalists and the first pciture of the band below was taken by Mark from Expression. 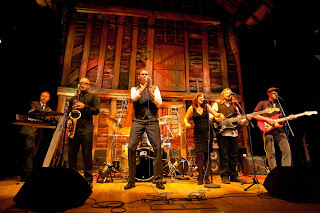 As a specialist wedding band in London, they have won and been nominated for many awards and continue to provide an outstanding service to their clients.